It has supposedly been on the cards ever since Apple Music’s announcement in June, but we now finally have a date for when Apple Music support will be coming to Sonos devices, with December 15th set to be the big day. And we thought Christmas gifts only arrived on December 25th! Already supporting competing streaming services like Spotify and the now defunct Beats Music, Sonos and its new inclusion of Apple Music will mean that all of the major music streaming players are well covered by the popular speaker system. Originally said to be in the works, Apple Music support by Sonos brings the music streaming service to the platform for the first time, with users able to stream their songs and presumably Beats 1 to both single and multiple speakers simultaneously. 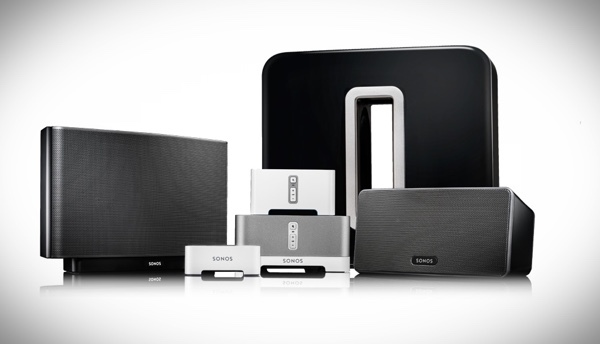 While there are already plenty of wireless solutions for getting Apple Music around the home, Sonos and its ability to put speakers throughout the house and then have them controlled centrally has made it the most popular game in town. Support for Apple Music helps both Sonos and Apple, and we find it odd that it has taken so long to become a reality. While the December 15th date is actually the day a public beta opens for Apple Music on Sonos, the real thing should go live early next year. 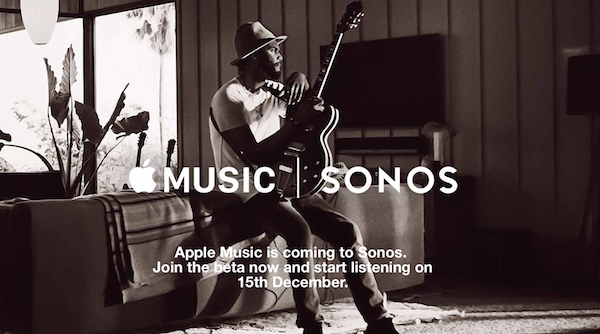 If you want to get in on that public beta then you’ll need to sign up to do so, though if you’ve been waiting for Apple Music to come to your own Sonos system then we’re sure signing up for the open beta is something you’ll happily do. We know we would. Apple Music is Apple’s $9.99 music streaming service that arose from Apple’s takeover of Beats Music. Since Apple Music offering is similar to what Beats Music offered, Apple finally killed Beats Music service off today. You can take advantage of a free 90-days Apple Music trial if you haven’t already, but you’ll need to stump up the monthly fee after that.